Use of some Ohm meters. PKT-335 ohm meters testing battery mass. 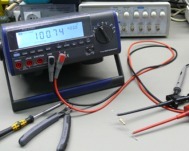 PCE-DC2 ohm meters testing a cable voltage..
Tabletop ohm meters testing conductivity. internal plate of an electronic instrument. 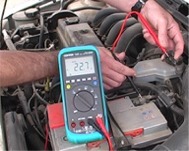 electrical mass in a vehicle. Ohm meters: Definition and interesting information. Ohm meters are instruments used for direct measurement of electrical resistance of a material or electronic component, usually in ohms. They combine different modes and measurement ranges. Basic ohm meters allow the customer to measure both voltage and intensity according to different measurement ranges. ohm meters are normally switchable between Direct Current (DC) and Alternating Current (AC). Also available they can make range resistance measurements as well as continuity measurements with an acoustic signal. Modern Ohm meters come with a wide equipment to measure frequency, capacity and temperature. With these Ohm meters we will able to measure DC/AC current, DC/AC voltage, resistance, pitch control, diodes, capacity, frequency, temperature, etc. Ohm meters. General information: The use of ohm meters have diverse advantages such as a protection circuit against overload and polarisation to make them solid instruments when they are used to measure voltage. 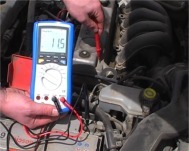 Ohm meters are also protected against shocks and falls so any mobile piece cannot be damaged. 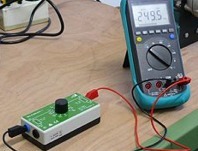 Some ohm meters can be used to measure frequency, capacity, inductivity as well as diode-transistors. Humidity, temperature and sound can be also measured by ohm meters internal or external sensors. Normally, range can be automatically selected. 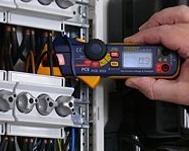 All our ohm meters can be calibrated to meet the ISO standard. If you have any questions, please do not hesitate to contact us. If you wish to view or print a selection of Ohm meters from our printed catalogue, click the PDF symbol.